Today, I'll be reviewing the LAFINE Vegetable Foam Cleansing, which is a cleanser I know all too well. 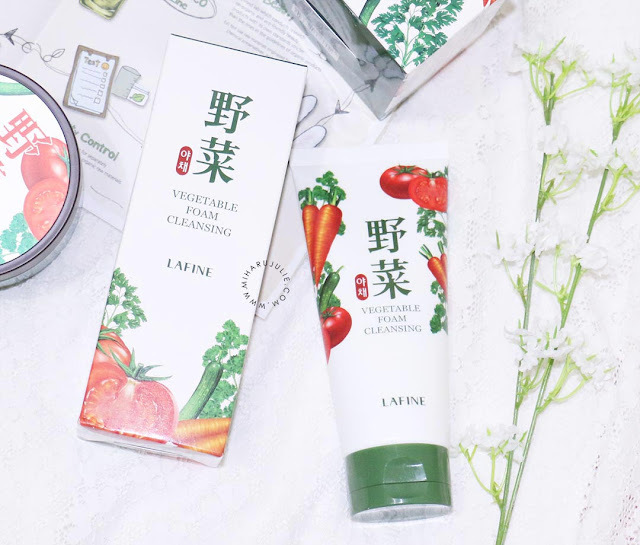 Previously, I have tried the Lafine Vegetable Deep Cleansing Cream as the first cleanser and now this Lafine Vegetable Foam Cleansing which is a great addition to my cleansing routine. 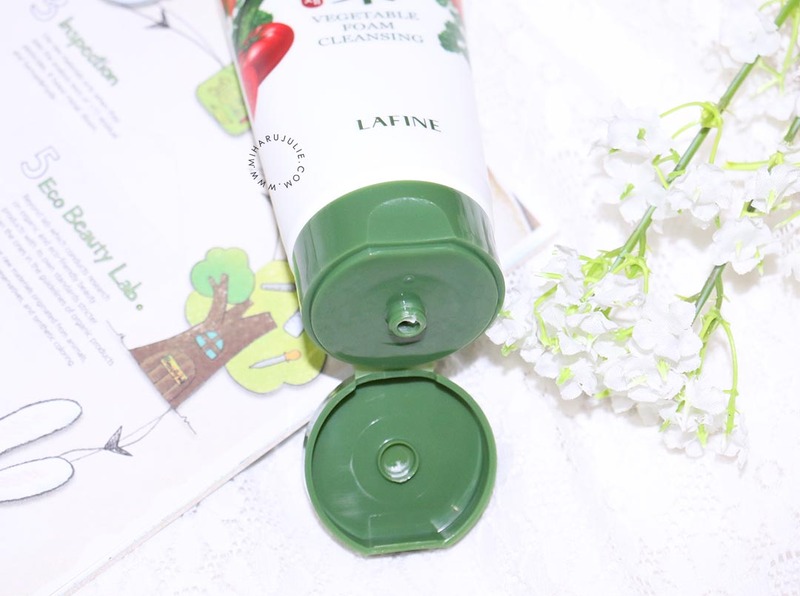 There's green and red granules that you can visibly see that gently exfoliates and provides nutrients to the skin. 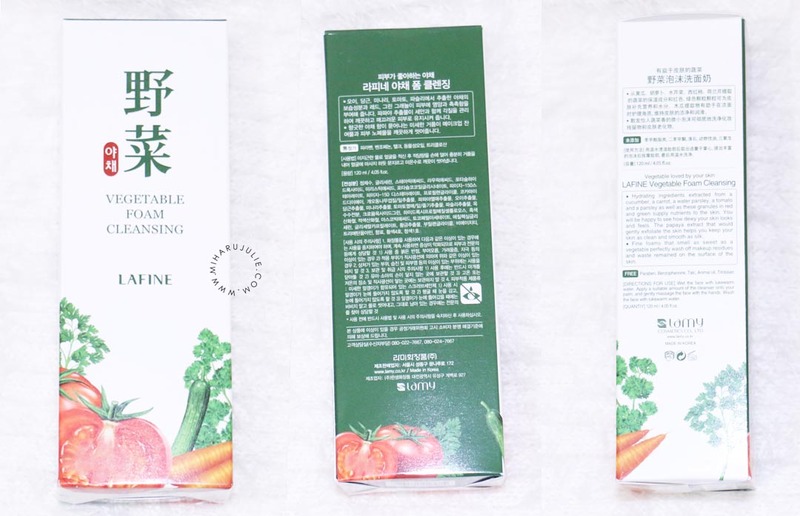 It also has papaya extract that helps cleanse and smooth the skin. This cleanser claims to remove any makeup residue on the skin and will give you a nice, fresh and dewy look. 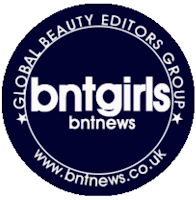 This product is also free from parabens, benzophenone, talc, animal oil and triclosan. It also has a very faint, fresh garden smell to it that you barely notice. - Pat your face with cold water for finish and pat off water with towel. I've used many different types of cleansers throughout my life so far, but I've never come across one that's so centered and focus on vegetables. The cleanser itself is a white and shiny with a cream sort of consistency. It has tiny red and green granules in it that supposedly supplies nutrients to the skin. 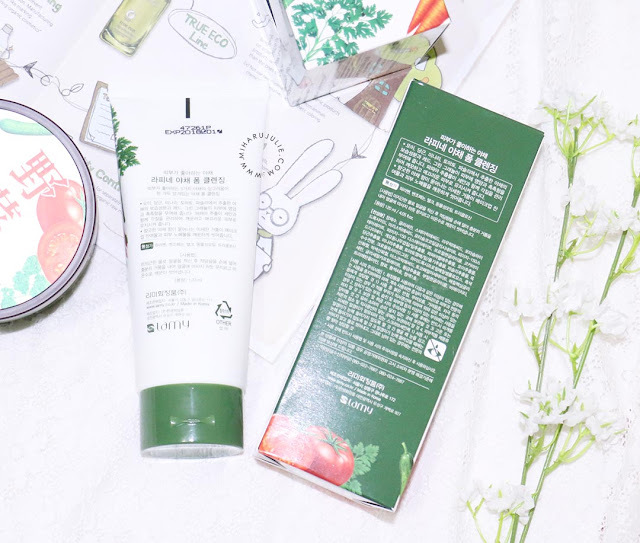 It's so easy to use and definitely something that I would recommend getting since it doesn't leave your skin feeling dry at all despite the thorough cleansing. terlihat menyehatkan untuk kulit ya! 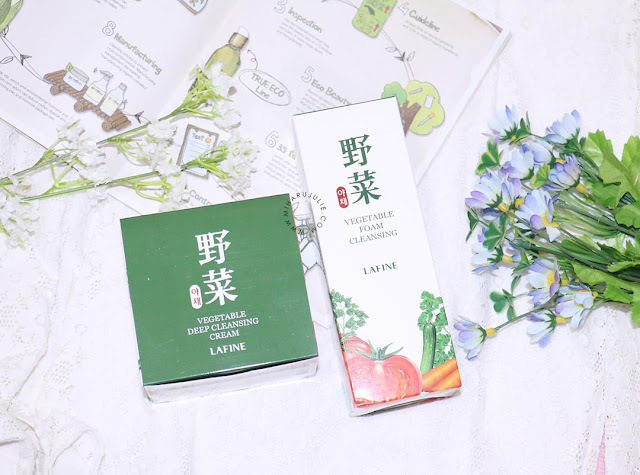 good review.. lanjutkan karya mu.. jangan lupa yg kepoin blog Miharu buat baca2 profil nya.. miharu banyak dapat penghargaan lho..
Great review and product. Thanks for sharing Julie. Product sounds amazing and I love the fact that it's natural! 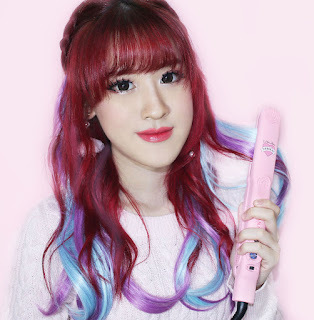 wangi nyua kyk apua yua klo sayuran gne,,? ?